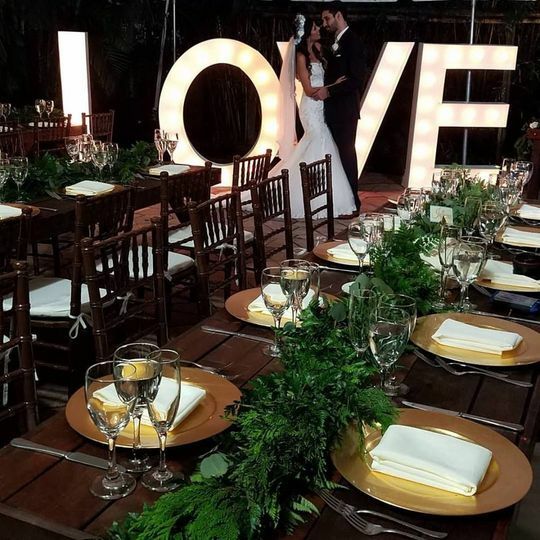 The Bamboo Gallery is an Extraordinary Venue for an Extraordinary Occasion. It is Centrally Located, just outside Fort Lauderdale in Davie FL. 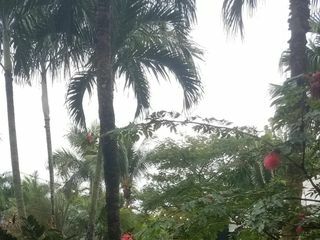 Nestled in 2.5 Acres of lush tropical landscape with Towering Palm Trees and Bamboo, along with an array of exotic Orchids and plants, Waterfalls and Ponds. 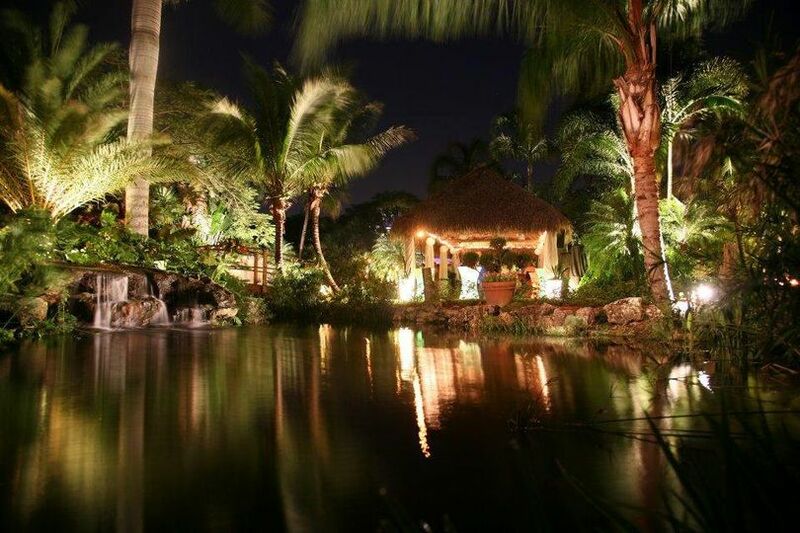 Said to be South Florida's "most unique venue" by many, this piece of paradise is perfect for your special occasion. 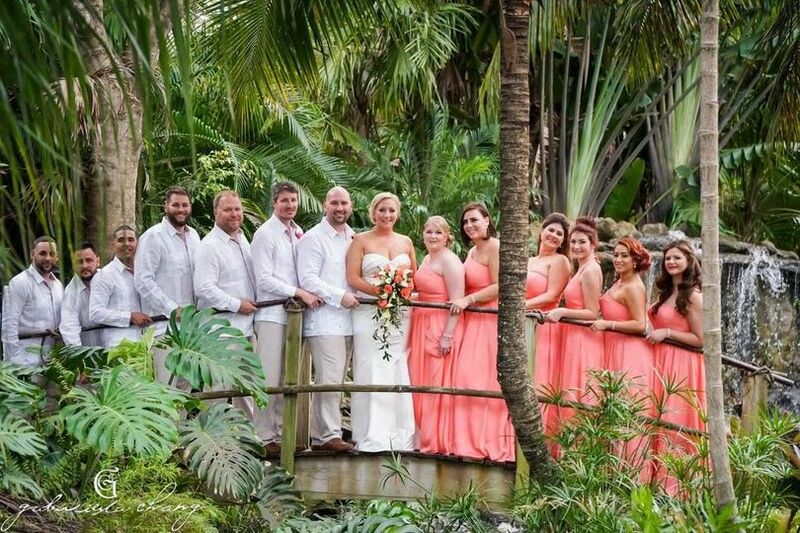 The natural tropical beauty and rustic charm of The Bamboo Gallery creates the perfect setting for your wedding ceremony and reception. As night falls guests are taken away to a tropical paradise as the venue comes alive. 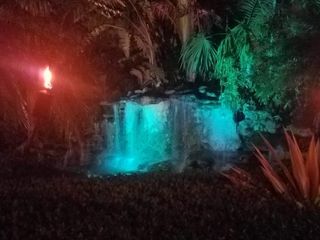 Torches, Wood Burning Fire Pits, Lighted Planters, Bistro Lights, Landscape Lights, and the sounds of Waterfalls echoeing throughout the garden, sets the mood for an unforgettable experience like nowhere else. We really wanted to have a backyard, relaxed setting for our wedding. The Bamboo Gallery gave us that and more! The venue is perfectly laid out, with spaces for ceremony, dinner, dancing, and lounging. 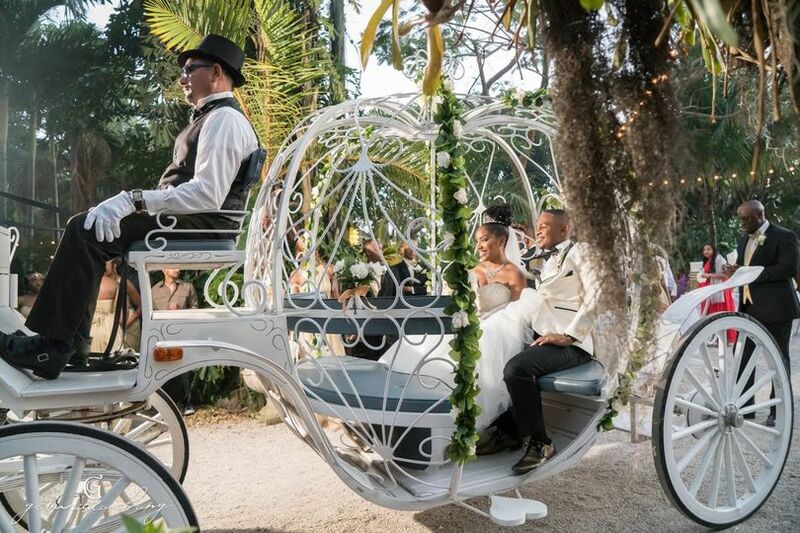 Our guests were blown away by the beautiful gardens and their ability to roam and enjoy our celebration in their own ways. Every one of our family members now have a Facebook profile photo from our wedding. The backdrop is THAT great! 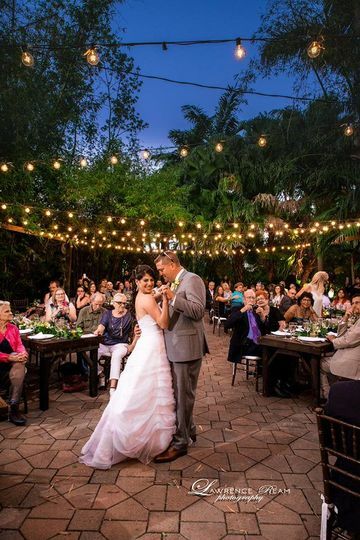 The greenery and fairy lights surpassed our visions for a garden fairy tale. 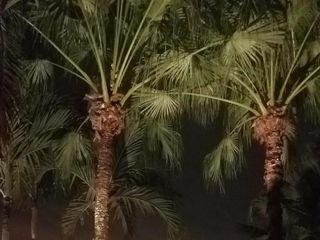 Make sure to check it out at night, you will be whisked away into a tropical paradise! In addition to the beauty and grandeur of the venue, working with Rick is an absolute pleasure. He is there to help you, but won't overstep. He is very flexible, which you won't find at many venues. 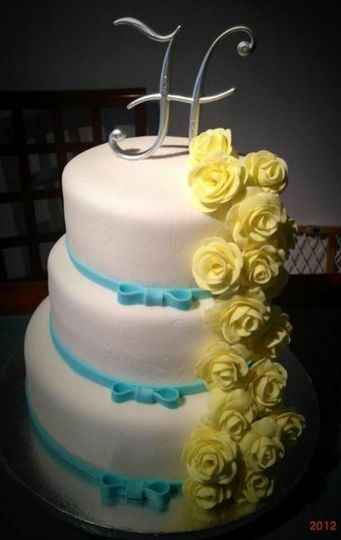 He gives you the freedom to use the space and design the wedding of your dreams. 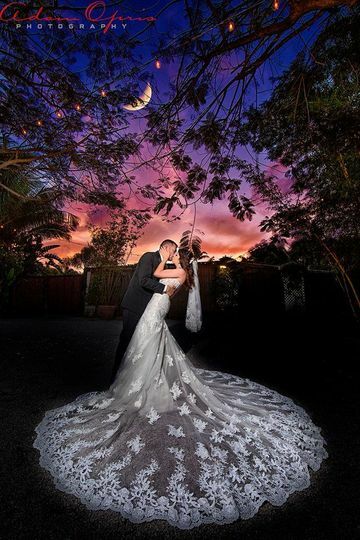 Run, don't walk, to the Bamboo Gallery for your wedding!! Such a perfect way to start our forever! Rick was absolutely amazing, this venue is beautiful and between him and Willie they made sure to accommodate and help with anything that we needed. We even forgot my bouquet at the estate (facepalm) and they made me a stand in for the ceremony. They really went above and beyond what was expected. All of our guests had such an amazing time and the weather turned out beautifully. 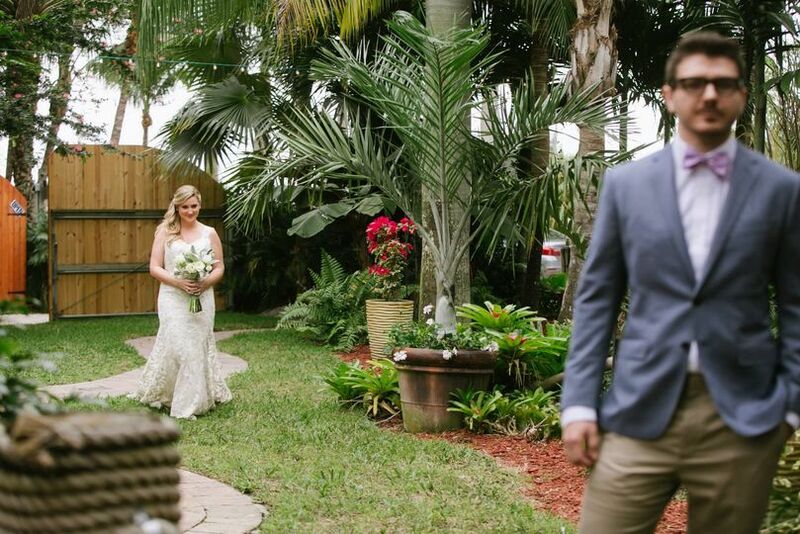 One great thing is you have up to 48 hours prior to the wedding to decide if you want to tent the main dining area, which is very beneficial for a Florida wedding. 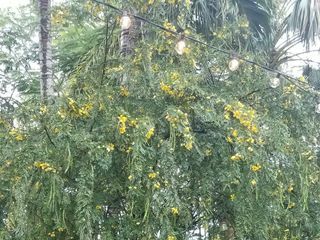 We went ahead and tented anyway with beautiful chandelier lighting just in case since the weather was going back and forth. Honestly the tent gave it more of a romantic ambiance for dinner which I really loved. 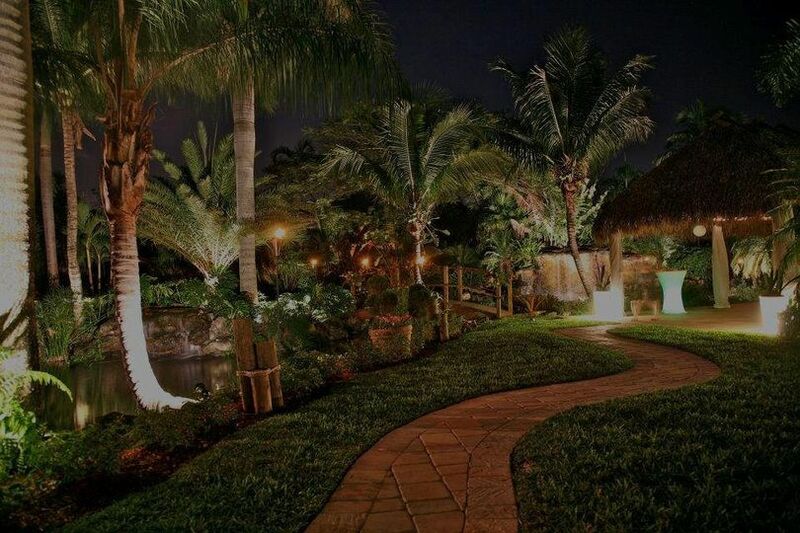 At night with the fire pits, tiki torches and lights you really feel like you are in a tropical oasis. I highly recommend this venue, rick and willie as your DJ. Bamboo Gallery is pure magic! 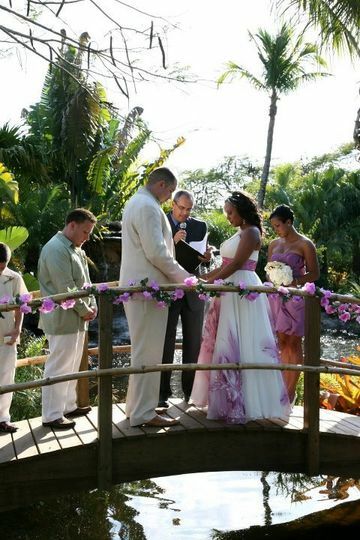 We had our destination wedding there (we’re from NYC) and it was like being transported to Eden. We had both our ceremony and reception there and I couldn’t ask for a more beautiful place. Bamboo is not your typical, stuffy banquet hall where everyone just stays at their tables and can barely hear anyone speak once music starts blasting because there’s nothing to do but eat and dance. Bamboo is an experience! First, the place is just gorgeous. There’s beautiful greenery, fire pits,waterfalls, and torches to light your way (there’s also ample additional lighting). Second, because there’s so many different areas for people to enjoy and explore, everyone gets a chance to mingle and experience whatever they’re into. People can dance under the stars (there’s 2 dance areas), hang out at the bar under the tiki hut, play pool in another tiki hut, take pictures by the waterfall, or just enjoy a nice conversation by the fire pits to get to know each other or catch up with those they haven’t seen in years. 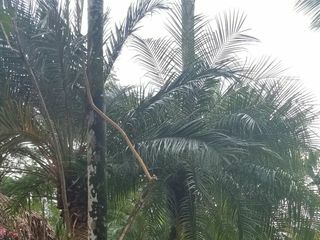 Also, our wedding wasn’t in the rainy season so we didn’t want to spend thousands of dollars on a tent but the day before our wedding we found out there’s a storm coming. Because of the instant high demand, not a single company we called had tents by that time for any reasonable price. Rick, the owner, wouldn’t rest until he found us a tent (for a lot cheaper than we were quoted) and he had everything set from start to finish. Working with Rick and Willie (the in-house DJ/MC) was more like getting help from friends than your typical vendors. Being in NY it was very challenging to arrange everything and they held our hand every step of the way. They were extremely accommodating to any requests and went well out of their way to make our wedding stress-free (as much as a destination wedding can be lol). I could probably go on for pages about how wonderful the place is and all the details Rick and Willie attended to. Thank you guys for making my dream wedding come true! (Despite the rain). P.S. The pics don’t do it justice. You have to see it for yourself! The most beautiful venue!!! I love it!